1. Embrace a positive view of money. Everyone has a relationship with money. What’s yours? Many people equate wealth accumulation with being miserly. Or, they feel doomed to repeat financial mistakes of the past. 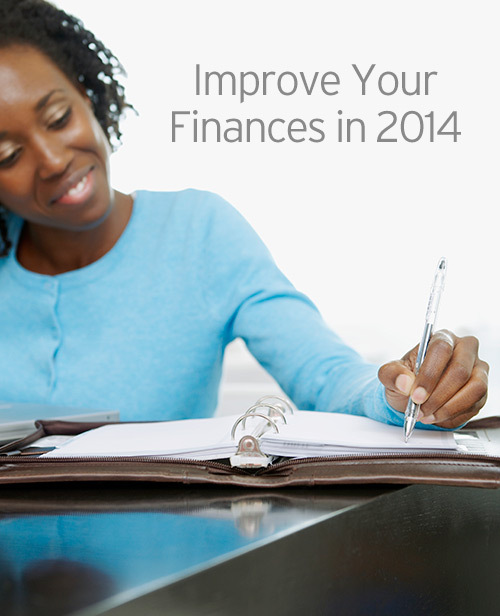 Give yourself the gift of a fresh start and vow to take a positive view of finances. 2. Track your spending. Keeping track of your expenditures over two weeks can really offer eye-opening insights into your financial “black holes.” When you know where your money is going, you can start to take control. 3. Create a financial roadmap. What are your goals? Without a financial roadmap, you have no idea where you are going financially. Think about your dreams and commit them to paper. Your Primerica representative can help with a free, updated Financial Needs Analysis. This entry was posted on Wednesday, January 22nd, 2014 at 12:08 pm	and is filed under Primerica. You can follow any responses to this entry through the RSS 2.0 feed. Both comments and pings are currently closed.